China is a country which is steeped in history and culture, but alongside both of these there is also an incredible array of wildlife! China is a country which demands a long visit as there is simply so much to see! You could visit the famous Great Wall, the Terracotta Army, or even the Imperial Palace in Beijing. You trip to China is one that will live long in the memory, so start planning your next adventure today! A nation shrouded in mystery and famed for its unique culture, China’s influence is hard to ignore. Everything from technology to cuisine, science to art can be traced back in some way to this fascinating country, but did you know that the ‘People’s Republic’ is one of just 17 megadiverse countries? For this reason alone, why not consider volunteering abroad in China? China’s wildlife conservation efforts have come under some scrutiny throughout the years, but improvements have been underway. 15% of China’s total land mass consists of nature reserves, and the country’s endangered species are protected by law. Additionally, animal conservation in China has seen the recovery of the beloved giant panda, a species which would have been long-since extinct without the assistance of scientists and conservationists alike. By taking part in volunteer work in China, you could be part of an exceptionally positive change in the county. Why not take a detour from one of China’s major sites, such as the Great Wall, to become a volunteer with pandas in Chengdu? Pay a visit to the Far East and join a volunteer programme in China today! The 30th of September marks International Translation Day; its purpose in the modern day to show solidarity of the worldwide translation community as we move ever-closer to the era of globalisation. Check out our infographics and see what you could learn! 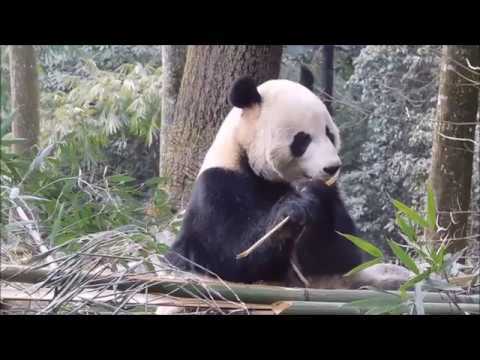 Check Out Our Latest Volunteer Update From The Panda Volunteer Experience In China - In Pictures! China is one of just 17 countries in the world to earn the title of ‘megadiverse’, a word given to countries with no less than 5,000 species of plant and other elements of extreme biodiversity. In fact, China has over 34,000 species of plant and animals, making it the third most biodiverse country of all. China’s biodiversity is so rich that it’s actually home to around 10% of the world’s overall species, but this staggering amount of life is at risk if more is not done to protect it. Infrastructure, extreme population growth and – tragically – the prevalence of traditional medicine each pose a real risk to some of the country’s most vulnerable animals, and if we wish to see these creatures survive for much longer, intervention is certainly needed. With volunteer opportunities in China becoming increasingly popular, now is the perfect opportunity to help make a real difference. • Calligraphy – aesthetically pleasing, this popular method of writing is more than just a stylistic choice. It takes great patience and skill to learn correct calligraphy, but once mastered the artform is simply unmistakable. • Literature – like calligraphy, Chinese literature is famous around the world, with a history extending back thousands of years. Some of the most famous works include Dream of the Red Chamber, Romance of the Three Kingdoms, and Journey to the West – do you have any of your own favourites? • Celebrations – China is well-known for its culture of celebration, from hosting its own New Year festivities to the releasing of lanterns in the first lunar month. Red envelopes containing money, winding dragons in street performances, even the so-called ‘longevity noodle’ (a noodle reaching up to 3km in length, representing a long life and good health) are all unique to this vibrant nation, and time spent joining in with festivities is never time wasted! The Great Wall of China – considered as one of the greatest wonders of the world, the Great Wall of China is the longest man-made structure ever built. The wall has been protected as a UNESCO World Heritage Site since 1987 and attracts droves of tourists each year, each of them keen to marvel at this phenomenal feat of architecture. The Forbidden City – located in central Beijing, the Forbidden City stands as a testament to ancient China in the midst of an otherwise ultra-modern metropolis. This former imperial palace once belonged to the Ming dynasty and was declared a UNESCO site in the same year as the Great Wall. The Terracotta Army – a visit to Xi’an can be a complicated endeavour but is absolutely worth the journey. The boundless Lintong District is home to some 8,000 soldiers, 130 chariots, and 670 horses, with the figures varying in height to demonstrate the importance of their roles. The sculptures date back to the late third century (approx.) and are a masterclass of artwork – something which is all the more amazing when you consider the tools available for use at the time of their creation.